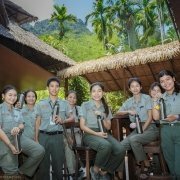 Krabi’s elephant hospital is the only facility of its kind in Southern Thailand, responsible for up to 1,000 elephants in the area – with only 3 full-time vets. 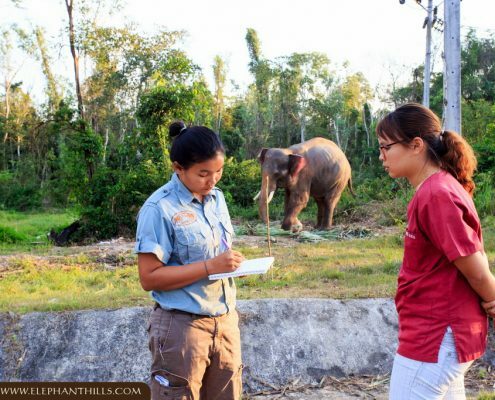 Treated elephants are domestic elephants, mostly working either in the tourism industry or on rubber plantations. 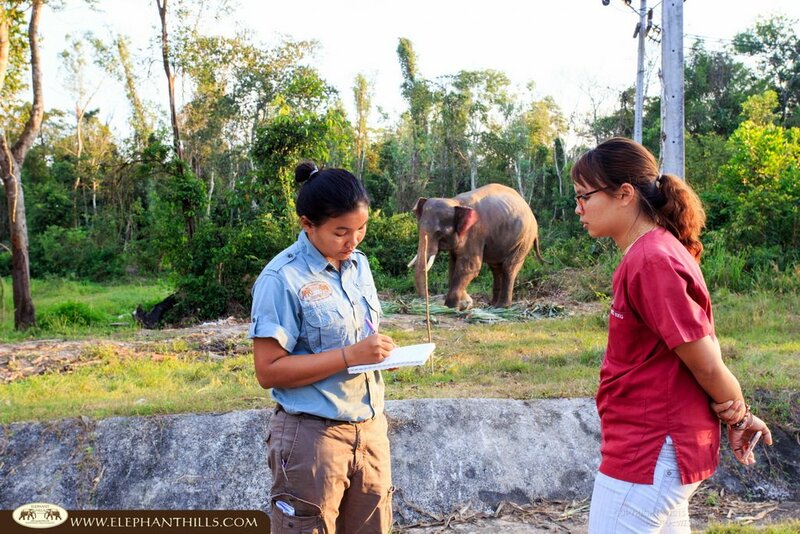 On average, about 15 elephants are treated here per month, mostly suffering abscesses, diarrhea and lack of appetite. 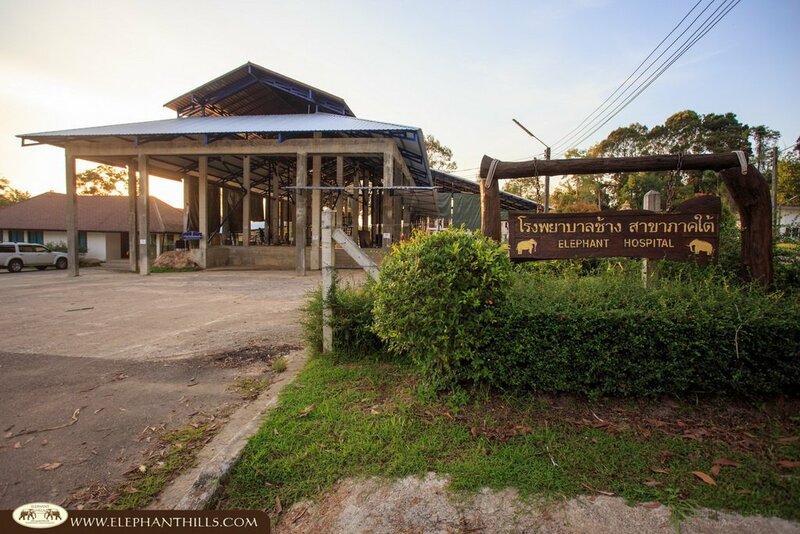 The hospital is operated under royal patronage by The National Elephant Institute, as is its larger sister in Lampang in Northern Thailand. 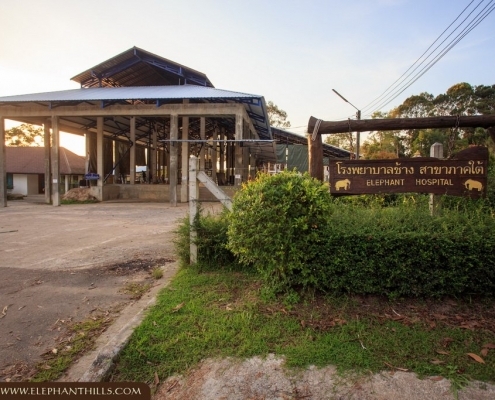 Since the hospital’s construction in 2010, Elephant Hills has supported the hospital’s limited resources with funds from our Elephant Hills Elephant Project, mainly donations given by guests and taken from our own revenue. 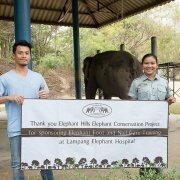 The latest donation was initiated in December 2016, when Krabi’s elephant hospital vets came on their routine visit to Elephant Hills. 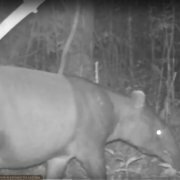 During their inspection they found loads of herbs and trees growing on our land, useful and healthy for Asia’s largest land animal. 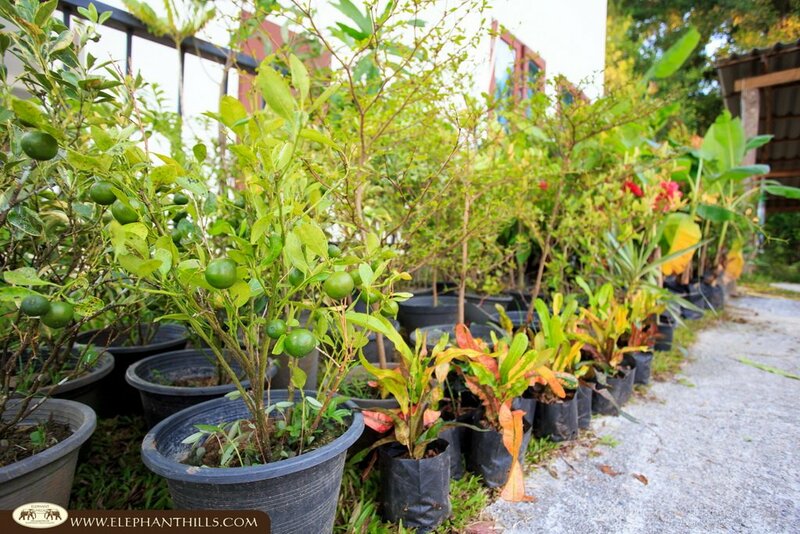 When asked for a donation of these plants to grow them on the hospital’s grounds, we didn’t hesitate and went to work. As not all of these plants grow abundant enough on our land to donate to the hospital, we bought whatever we could not sufficiently supply. The donation took place on February 7, 2017. 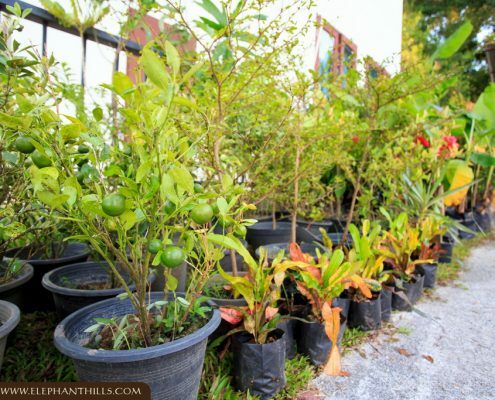 All trees, plants and seeds were handed to a Krabi-based vet, and will be planted around the elephant hospital within the upcoming days and weeks. Mainly needed were Banana trees, red betel nuts, mango trees, Aloe Vera and Lotus. 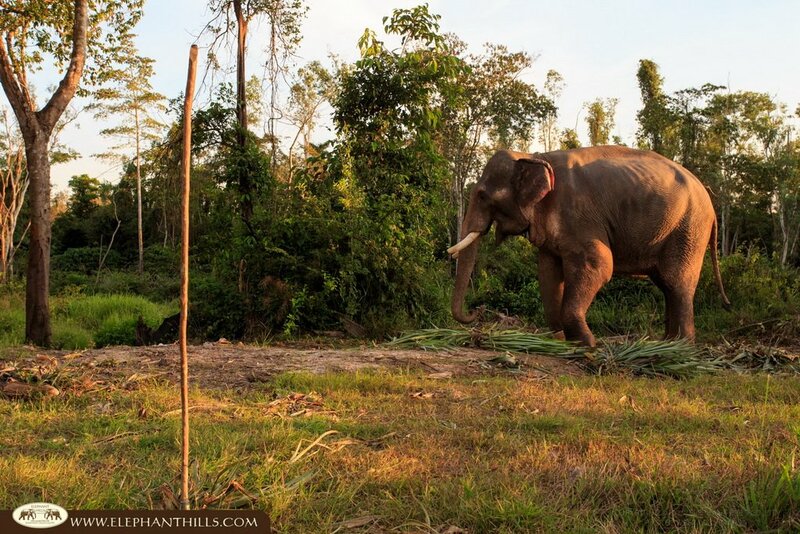 We sincerely hope it will facilitate the vets’ lives and cure many an elephant in need of natural herbs and healing. 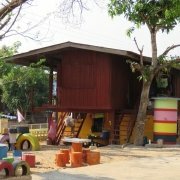 Donate funds to expand the treatment area. 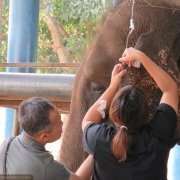 The current area is too small when compared with the number of elephants that are admitted to the hospital. Donate fine sand for the elephant hospital. It will help to lift up the elephant or support the elephant to stand on or rest. Donate food supplements such as vitamins, milk and pellets – very much needed, especially for baby and older elephants. 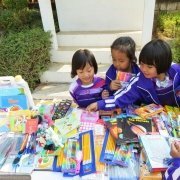 Daily needed medical supplies such as medicine, basic items such as cotton, betadine, gloves, surgical knives, syringes, etc. Kitchen equipment such as rice cookers, hot water tanks, pans, kettles etc. 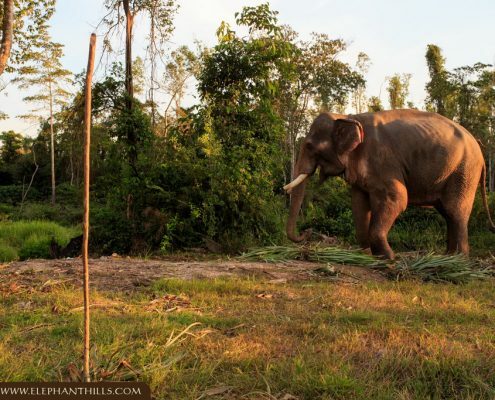 for the staff, mahouts and elephants.